Potomac LabWorx provides experts on demand. Our mission is to take on the essential tasks that clutter your business day thereby freeing you up to take on your scientific challenges. You must be the legal age of majority in your state of residence or otherwise able to form a binding contract with My US Office in order to use the Services. In no event is use of the Services permitted by those under the age of 13. My US Office provides a platform for legal information and self-help. The information provided by My US Office along with the content on our website related to legal matters (“Legal Information”) is provided for your private use and does not constitute legal advice. We do not review any information you provide us for legal accuracy or sufficiency, draw legal conclusions. 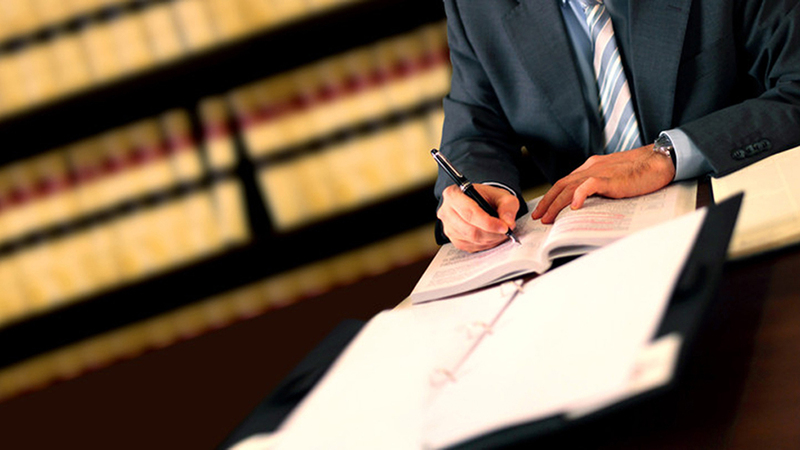 If you need legal advice for a specific problem, you should consult with licensed attorney. Neither My US Office nor any Legal Information provided by My US Office is a substitute for legal advice from a qualified attorney licensed to practice in an appropriate jurisdiction. As My US Office is not a law firm, please note that any communications between you and a My US Office may not be protected as confidential information under the attorney-client privilege doctrine. Your use of the Services does not create an attorney-client relationship between you and My US Office , or between you and any My US Office employee or representative. Unless you are otherwise represented by an attorney, including a Participating Attorney, you represent yourself in any legal matter you undertake through our Services. My US Office is not a “Lawyer Referral Service”. The directory of lawyers published on our website is provided to the public free of charge and is for informational purposes only. My US Office does not endorse or recommend any attorney nor does it make any warranty as to the qualifications or competency of any attorney. My US Office occasionally partners with other companies to fulfill business formation, registered agent or other business filing orders. You understand and agree that My US Office will share certain personally identifiable information for you with the applicable third-party provider. States require your incorporated entity to have a registered agent or an equivalent on file with their department of the Secretary of State. By purchasing Registered Agent service from My US Office, you authorize My US Office and/or its third-party provider to receive service of process, including any notices of legal proceedings, other legal notices, or official government communication, and any items covered by the respective statute, rule, or regulation on your behalf. You further authorize your Registered Agent to scan, upload and transmit any such communications received on your behalf to your email address and into your account. When appropriate, My US Office and/or its partners may also forward physical mail received on your behalf to the business address we have on record. To update , please contact us at +1 202.545.6466 or incorporation@myusoffice.us . My US Office’s filing services are intended for users incorporating their own business(es). Communications related to My US Office filings will be directed towards the business address and business owner we have on file. My US Office’s filing services are intended for users incorporating their own business(es). Communications related to My US Office filings will be directed towards the business address and business owner we have on file. To ensure uninterrupted service, Registered Agent service will automatically renew for successive 1 year terms at the end of each subscription period. If you do not opt out of this auto-renewal program, My US Office will charge the credit or debit card you provided with the original order and renew you for the service term you selected. Registered Agent services included with the Accelerate Membership will automatically renew as long as the Accelerate Membership remains active. My US Office reserves the right to increase all service fees at any time without notification to you. We will, however, notify you of any increase in service fees prior to renewing your service. You may cancel the Registered Agent Service at any time by contacting My US Office at +1 202.545.6466 during our normal business hours. In addition to cancelling the Registered Agent service, to comply with your state’s regulations, you will also need to submit appropriate change of agent paperwork with the applicable state agencies. By downgrading from the Accelerate Membership or otherwise canceling the My US Office Registered Agent Service, you acknowledge and understand that the registered agent service provider will take necessary steps to resign as your registered agent. Upon resignation, My US Office and any of its affiliates, directors, agents, employees, or other My US Office service providers will cease to act as your Registered Agent and stop all Registered Agent related services. Any fees associated with completing such a change of agent are your sole responsibility. Specific information regarding the change of registered agent process and any related government fee information can be found on your state’s website. My US Office does not offer full or prorated refunds for cancelled Registered Agents services. Such services are purchased and renewed on an annual basis and must be cancelled prior to the renewal date to avoid recurring annual charges. In the event that your entity is dissolved, either voluntarily or involuntarily, it is your responsibility to notify My US Office of this dissolution so that we may cancel the Registered Agent services that are no longer needed. Until we are notified otherwise, your Registered Agent subscription will continue to renew and bill as described in this section. In the event that My US Office does not receive full payment, My US Office reserves the right to terminate your Registered Agent service. You agree to bear any risk and under no circumstances will My US Office be liable or responsible for any damage or inconvenience caused or alleged to be caused by termination. • When you contact a Participating Attorney through My US Office, he or she may provide you with an initial consultation, legal review of your forms or documents, or answers to your legal questions. Please note that any such interaction is intended to be a starting point for dealing with a legal matter or addressing basic legal questions and any attorney-client relationship formed during the course of that interaction is strictly between you and the Participating Attorney and expressly EXCLUDES My US Office. • When you contact a Participating Attorney through My US Office, he or she may ask you for some information regarding you and your legal affairs in order to properly address your questions. By using our Services, you consent to sharing such personally identifying information for the purpose securing legal advice with both the requesting attorney and with My US Office. My US Office will have access to any communications submitted through our platform for fulfilment and quality assurance purposes. • If you wish to create an attorney-client relationship with a Participating Attorney that extends beyond your use of our Services, that relationship will be on whatever terms you establish with the attorney in question. Those terms do NOT involve My US Office and, except for pre-negotiating special discounts for our members, we do not set, control or influence them. For example, the Participating Attorney may ask you to sign a formal representation agreement regarding the scope of work they will perform, the cost of their legal services, and the handling of any out of pocket expenses they may incur. • Participating Attorneys may be compensated by My US Office for Services performed on your behalf, however, My US Office does not receive any share of legal fees collected by any attorneys in our network. In all cases, My US Office will not influence or interfere in any way with any attorney’s independent professional judgment. Participating Attorneys reserve the right to refuse to perform legal services on your behalf in their sole discretion. • My US Office is an information provider and does not endorse or recommend any attorney, including any of the Participating Attorneys. My US Office makes no representation or warranty as to the qualifications or competency of any Participating Attorney or as to the accuracy or completeness of any Participating Attorney’s work. MY US OFFICE SHALL HAVE NO RESPONSIBILITY OR LIABILITY OF ANY KIND FOR ANY PROFESSIONAL SERVICES RENDERED BY ANY ATTORNEY YOU ENCOUNTER ON OR THROUGH OUR WEBSITE, AND ANY USE OR RELIANCE ON SUCH PROFESSIONAL SERVICES IS SOLELY AT YOUR OWN RISK. My US Office does not claim ownership of any documents you either create or upload and store using our Services (“Documents”). You grant permission for My US Office to use your Documents in connection with providing Services to you. You acknowledge and agree that My US Office may preserve these Documents as well as disclose them if required to do so by law or in the good faith belief that such preservation or disclosure is reasonably necessary to accomplish any of the following: (1) to comply with legal process, applicable laws or government requests; (2) to enforce these Terms; (3) to respond to claims that any content violates the rights of third parties; or (4) to protect the rights, property, or personal safety of My US Office, its users and the public. You understand that the technical processing and transmission of the Service, including your content, may involve transmissions over various networks and changes to conform and adapt to technical requirements of connecting networks or devices. You agree that My US Office has no responsibility or liability for deleting or failing to store any content maintained or uploaded by the Services. By creating an account, you agree that you may receive communications from My US Office, such as newsletters, special offers, and account reminders and updates. You also understand that you can remove yourself from these communications by clicking the “Unsubscribe” link in the footer of the actual email. • Defame, abuse, harass, stalk, threaten or otherwise violate the legal rights of others. • Publish, post, upload, distribute or disseminate any names, materials, or information that is considered inappropriate, profane, defamatory, infringing, obscene, indecent, or unlawful. • Create a false identity, represent yourself as someone else, or sign an agreement as someone else or on behalf of someone else or otherwise falsify or delete in an uploaded file any significant attributions or notices. b- you have received all necessary consents to do so. • Upload corrupted files, files that contain viruses, or any other files that may damage the operation of another’s computer. • Advertise, offer to sell, or offer to buy anything for business purposes except to the limited extent any particular Communication Service specifically allows such activity. • Harvest or otherwise collect personally identifiable information about others, without their consent. • Violate any code of conduct or other guidelines, which may be applicable for any particular Communication Service. Although My US Office has no obligation to monitor the Communication Services, we reserve the right, in our own discretion, to review and remove materials posted to a Communication Service, in whole or in part. My US Office reserves the right to disclose any materials posted, information or activity as necessary to satisfy any applicable law, regulation, legal process, or governmental request. You can only use our Services if they do not conflict with or violate the laws of your jurisdiction(s). The availability of our Services in your jurisdiction(s) is not an invitation or offer by My US Office to access or use our website or Services. By using our Services, you accept sole responsibility that you or any family member’s use of or access to our Services does not violate any applicable laws in your jurisdiction(s). To enforce this provision, My US Office reserves the right to refuse membership, or suspend or terminate your account immediately and without prior notice at our sole discretion. Use in connection with any legal matter in which your Program Sponsor has an adverse interest, or in which any director, officer, agent or employee thereof has an adverse interest. For the purposes of this provision, “Program Sponsor” means any company, organization or affiliation that purchases or offers on behalf of its members or employees, a My US Office legal plan through wholesale channels, retail channels or otherwise. Please see your Program Sponsor for additional restrictions. You may not hack, “scrape” or “crawl” myusoffice.us whether directly or through intermediaries such as spiders, robots, crawlers, scrapers, framing, iframes or RSS feeds, or otherwise access or attempt to access any information My US Office has not intentionally made available to you on its website via purchased subscription. Your use of the My US Office website does not entitle you to resell any My US Office content without prior express written consent from My US Office.